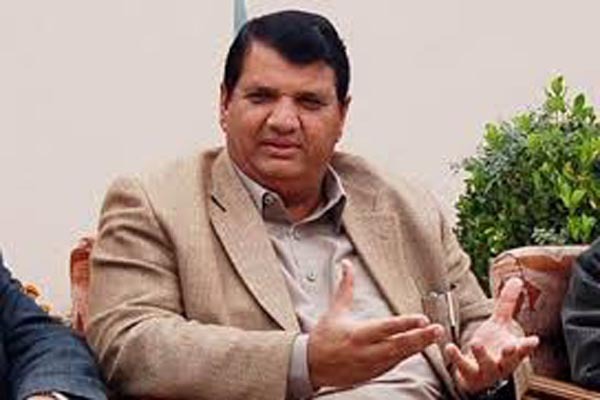 PESHAWAR, July 25 (APP): Advisor to Prime Minister Engineer Amir Muqam has asked PTI chief Imran Khan to before starting ehtesab train march should clear position regarding the charge-sheet of former Commissioner Ehtesab Commission, Khyber Pakhtunkhwa, PEDO leaks and bungling in party donations. In a statement issued here Monday, he said due to consecutive failures of the provincial government, the people of Khyber Pakhtunkhwa has decided to stamp the electoral symbol of PML-N in next general elections. He said that after wasting three precious years, the unveiling of the 13 points agenda is tactic to hide their failures. He said that Imran Khan is habitual of reading the script of others. The PML-N stalwart said that the PTI workers are inflicting torture on media persons, but later their leader become innocent before them. He said that why so far action is not taken against anyone for maltreatment of senior columnists, anchor persons and other media workers. On this occasion, he expressed solidarity and sympathies with journalists that have become victims of the torture and added that media is fourth pillar of the state, which is playing major role in the country. However, he also called for the stoppage of torture against the representatives of media and initiating of legal action those involved in such incidents.